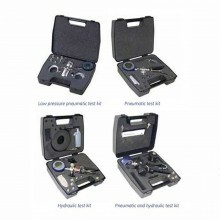 To order with NPT connections or other pressure ranges not shown, please contact us. 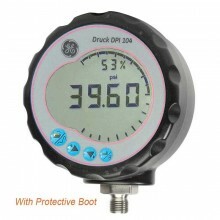 The DPI 104 IS matches advanced silicon sensor technology with several convenient design features resulting in an accurate, versatile yet affordable digital test gauge. 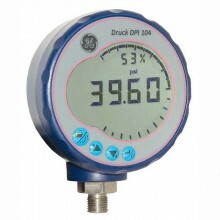 The DPI 104 IS can be used as a stand-alone process indicator or as a pressure reference for use with Druck hand pumps. 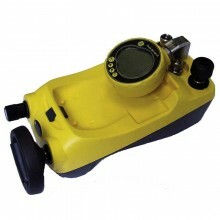 The unit is certified to ATEX, IECEx and CSA. 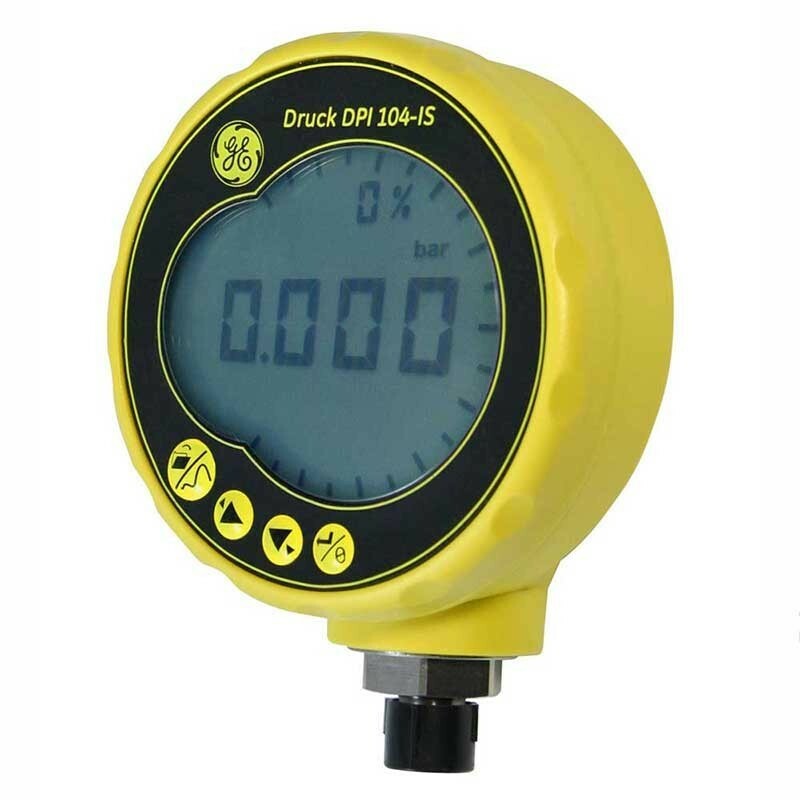 In addition to the numeric pressure indication, the DPI104-IS LCD display contains a round twenty segment bar graph to provide the user with a quick visual estimation of pressure from 0 to 100° full scale output. 0.05% full scale (FS) accuracy. Pressure ranges to 20,000 psi (1400 bar). Large, easy-to-read display with five-digit resolution. 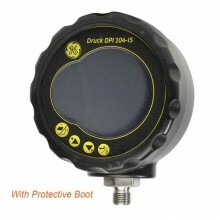 Free of charge monitoring and control software. % pressure indication and additional bar graph for quick visual reference. Temperature compensated accuracy from 14°F to 122°F (-10°C to 50°C). Minimum/maximum, tare and alarm functions. Stainless steel or Inconel pressure cavity for aggressive media. 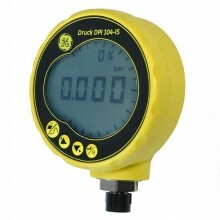 Agency Approvals *All gauge models will respond to negative pressures. **0.15% FS for 10 psi (700 mbar) range. Display Update Two times per second. Storage Temperature -4 to 158°F (-20 to 70°C). Mechanical Vibration To definition standard 66-31, 8.4 CAT III. Mechanical Shock To BS EN 61010: 2001. Directive—Class: Sound Engineering Practice (SEP). IECEx: Zone 0, Ex ia IIC T4.